Located in Taylorsville, NC, we've been serving Alexander County and its surrounding communities since 1981. Locally owned and operated by Anna Ferguson, our trained and friendly staff is ready to help you with personal and professional service. We want you to understand that your health is our main concern and hope you feel the same way when we say this standard of pharmacy practice enables us to be "your pharmacist". The profession of pharmacy and the delivery of health care are constantly changing. Those of us in pharmacy are rightfully proud of the advances being made in medicine and pharmacy. Even within our practice, the services we provide have evolved over the years. The increased use of technology and the availability of vast amounts of health information is staggering and can be somewhat overwhelming to most patients. Our pharmacists can be an invaluable resource when it comes to advancing public health and patient care through improving medication use. Compounding. From veterinary to podiatry to flavoring to natural hormone replacement, we work together with physicians to meet unique patient needs. Health Screenings. We provide blood pressure and blood sugar screenings. Immunizations. Our immunization services began in 2007 and continues to provide influenza, pneumococcal, and shingles vaccines. Medication Therapy Management. Our pharmacy is eager to expand patient care activities including Medication Therapy Management (MTM) and assist patients with medication related problems, especially in patients with complicated medication regimens. You will be able to make an appointment with our pharmacists, so that we may spend private, one-on-one time with you in order to gather your medical and medication history. We will ask questions and discuss your medications. In doing so, we can help improve patients' compliance with medications, promote better understanding of your medicine regime, improve patients' quality of life, and improve patient health. There is a fee for this service, although many insurance plans are lowering the costs of these services. Durable Medical Equipment. Our expansion of durable medical equipment includes canes, walkers, incontinence products, and lift chairs. We also carry diabetic shoes and offer fittings. We are conveniently located just off Hwy. 16 South at the intersection of Macedonia Church Road. 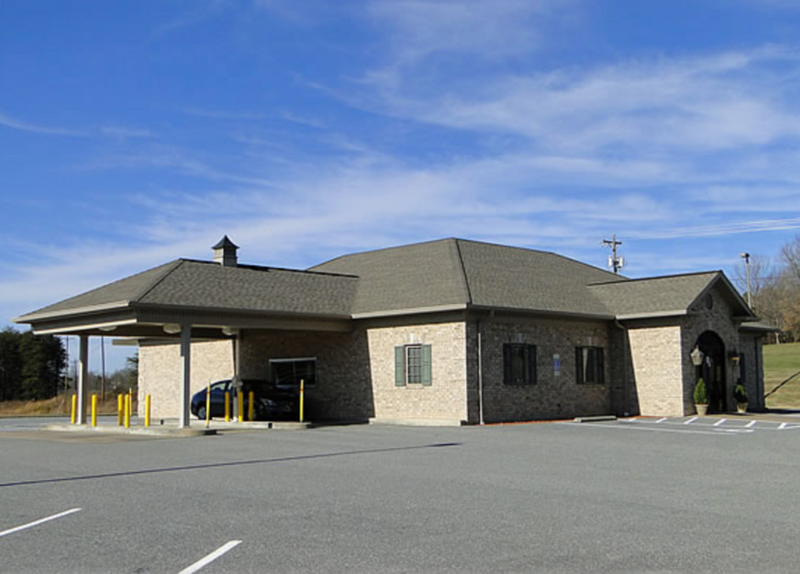 Office Practice of Pharmacy is located at 24 Commerce Drive, Taylorsville on NC Hwy 16 South - previously the State Employee Credit Union building. With this move, we have enlarged the pharmacy-offering a greater variety of health related over-the-counter items and durable medical equipment. We now have the convenience of a drive-thru window as well as more parking. As we make these changes, our primary goal will be the same as it was when we opened in 1981: to provide quality service to address your health care needs in a professional and caring manner.